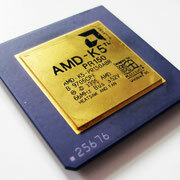 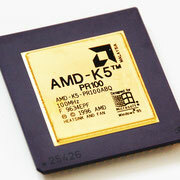 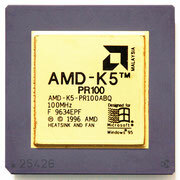 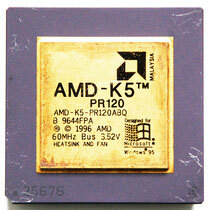 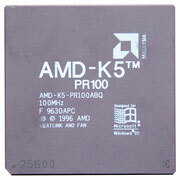 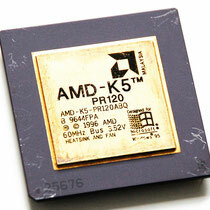 The K5 was AMD's first x86 processor to be developed entirely in-house. 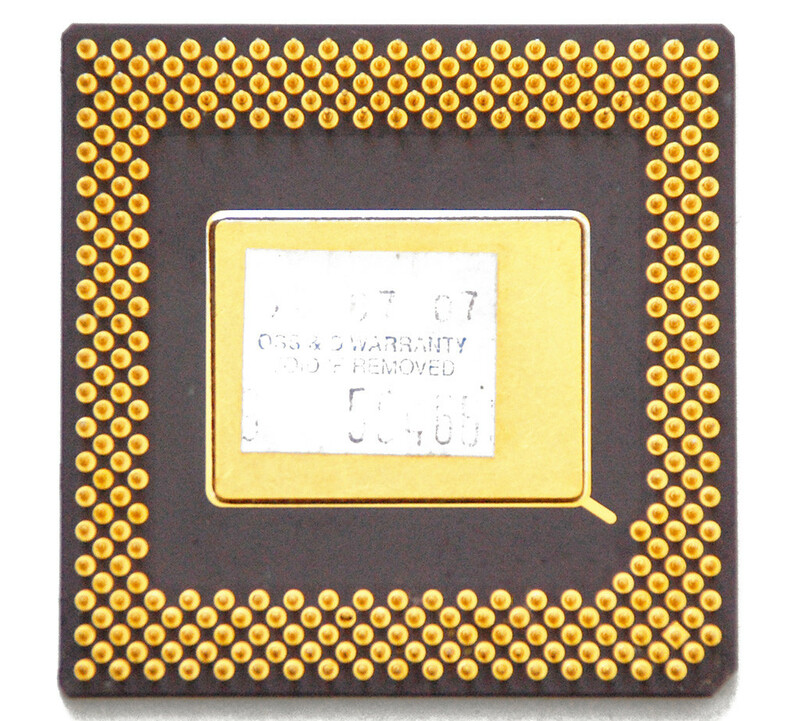 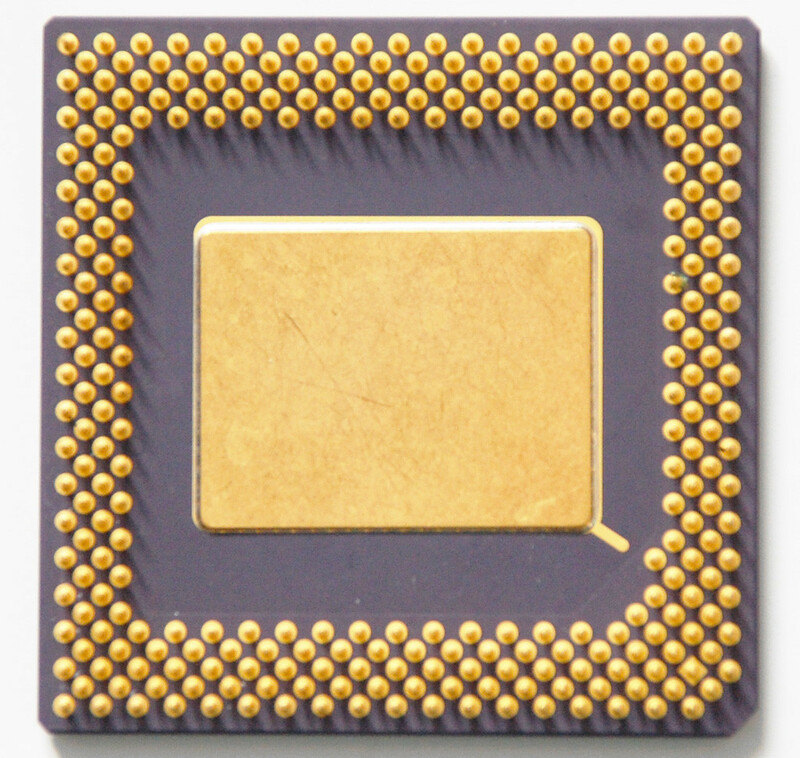 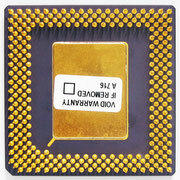 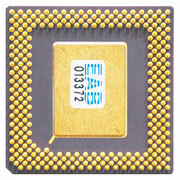 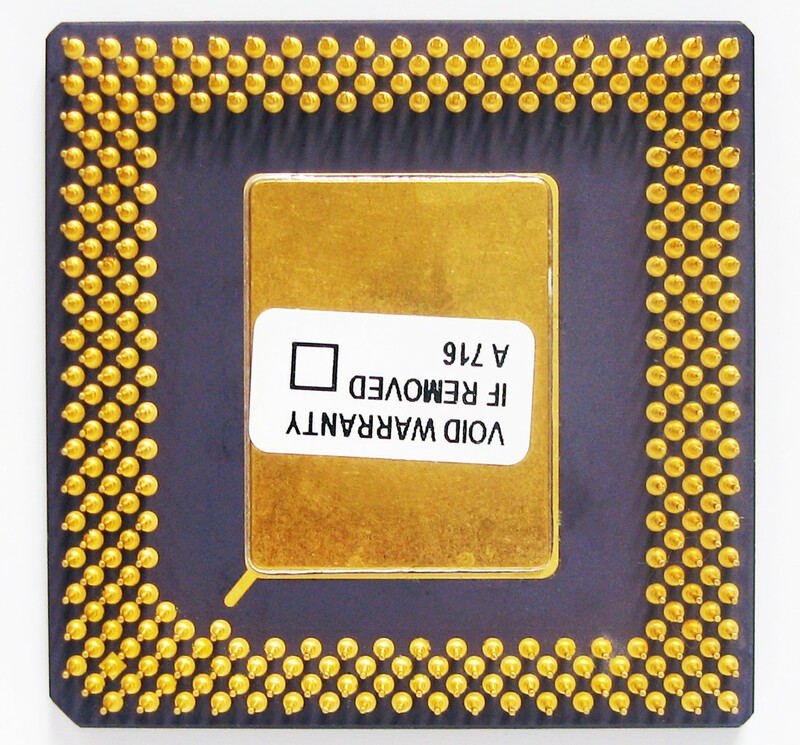 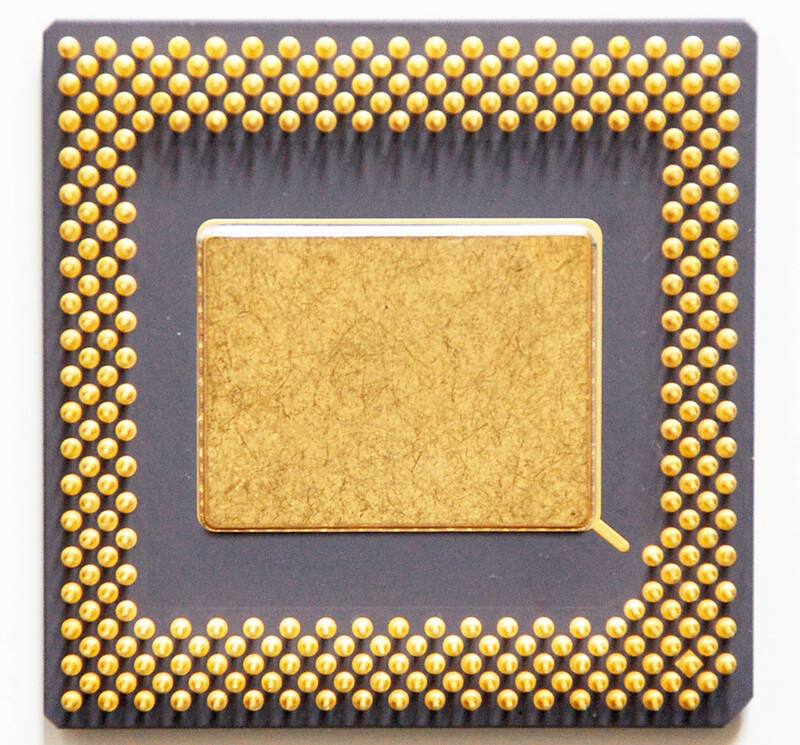 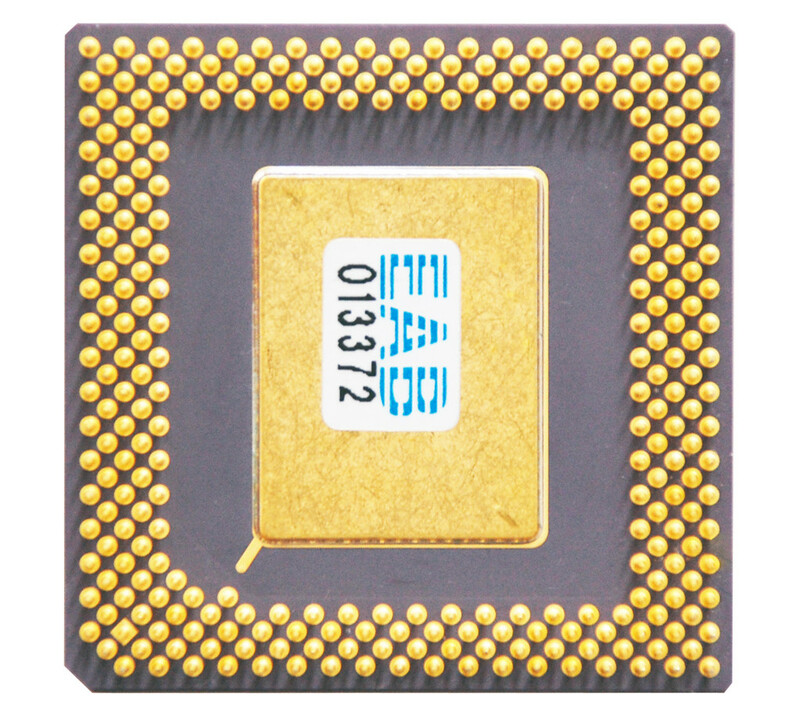 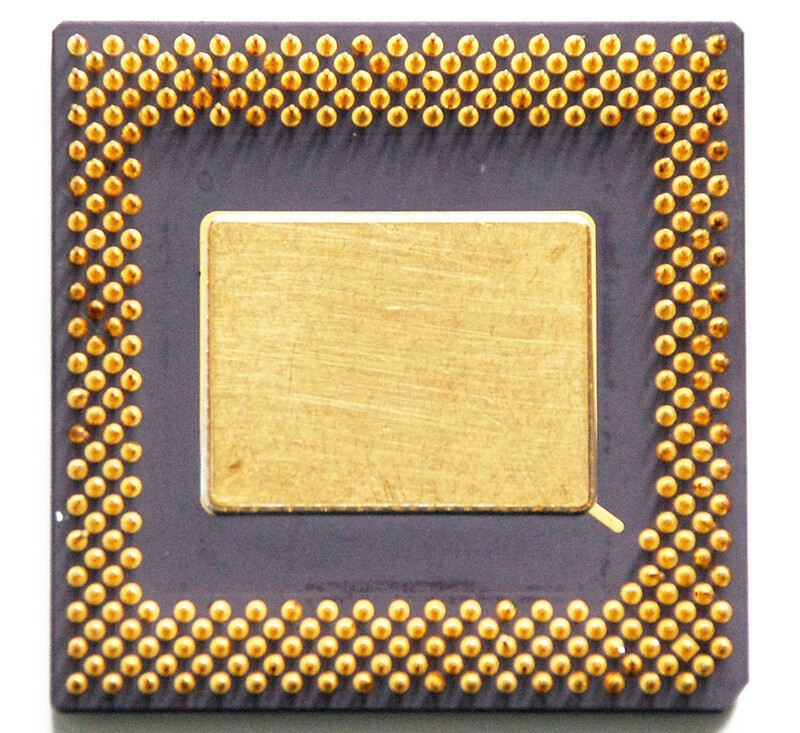 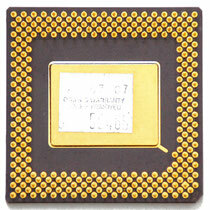 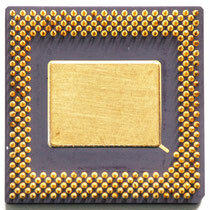 Introduced in March 1996, its primary competition was Intel's Pentium microprocessor. 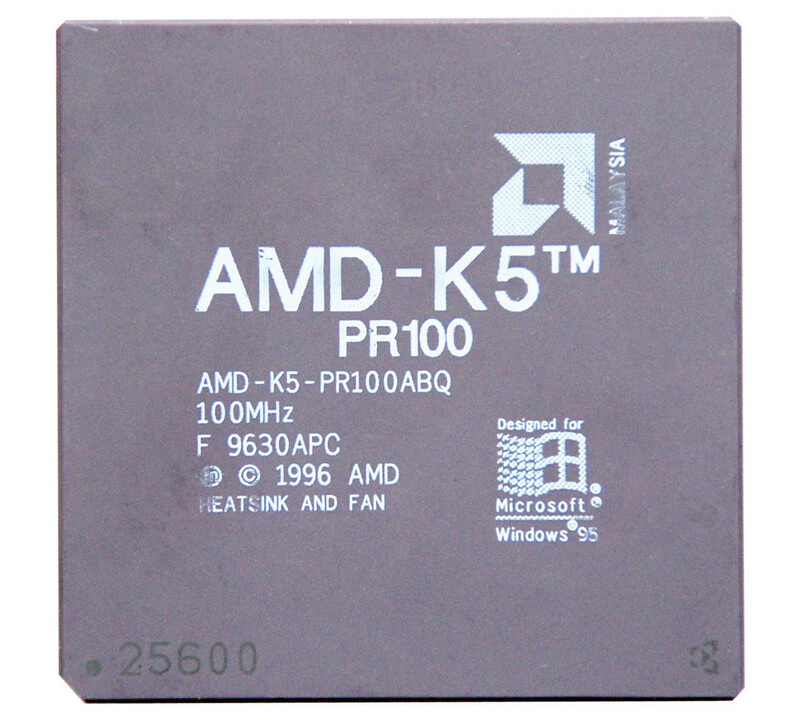 The K5 was an ambitious design, closer to a Pentium Pro than a Pentium regarding technical solutions and internal architecture. However, the final product was closer to the Pentium regarding performance, although faster clock for clock compared to the Pentium. 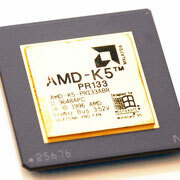 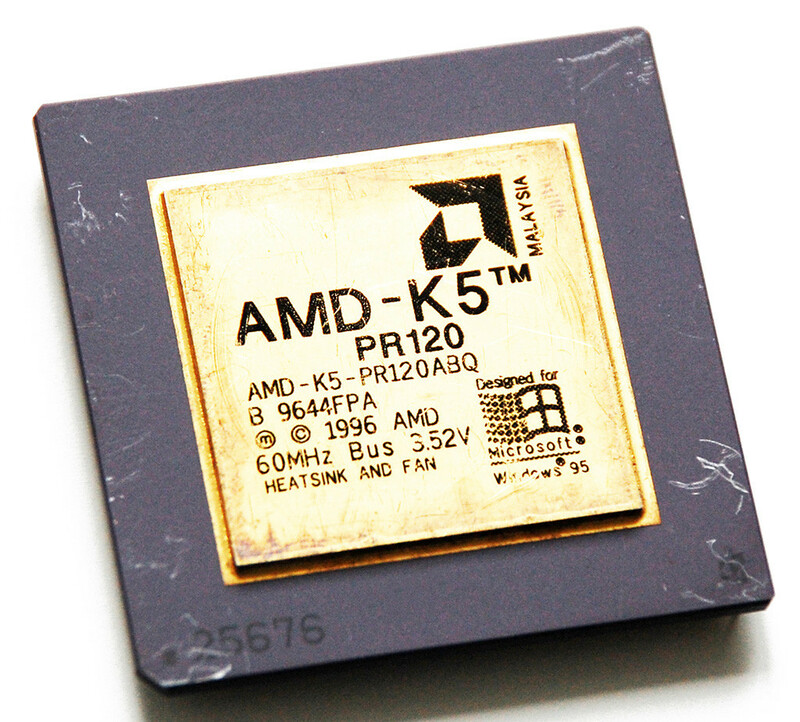 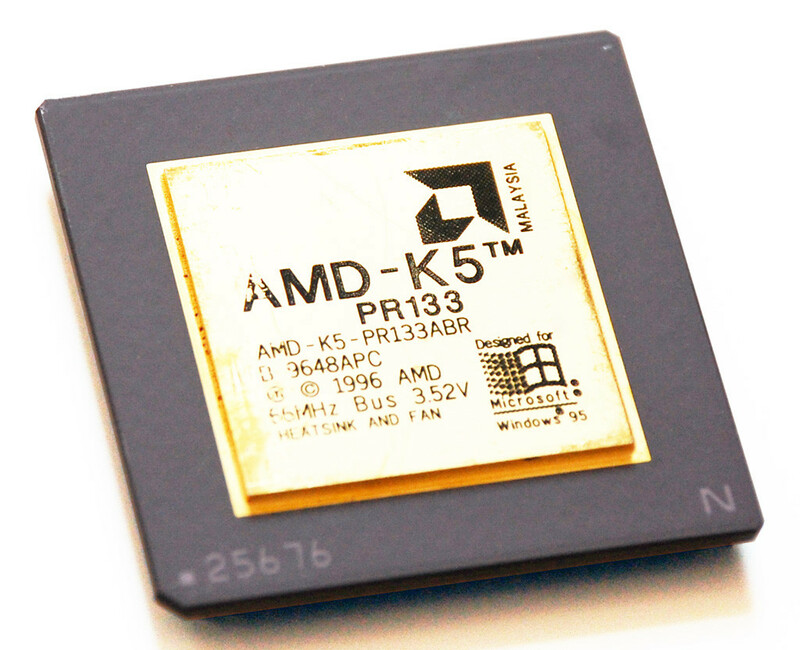 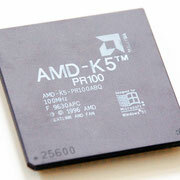 The K5 project represented an early chance for AMD to take technical leadership from Intel. 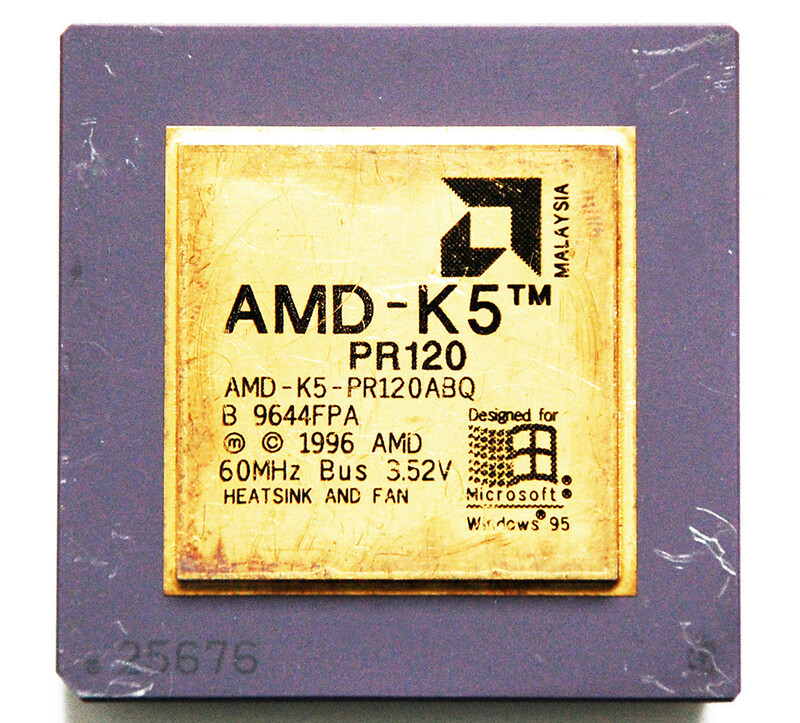 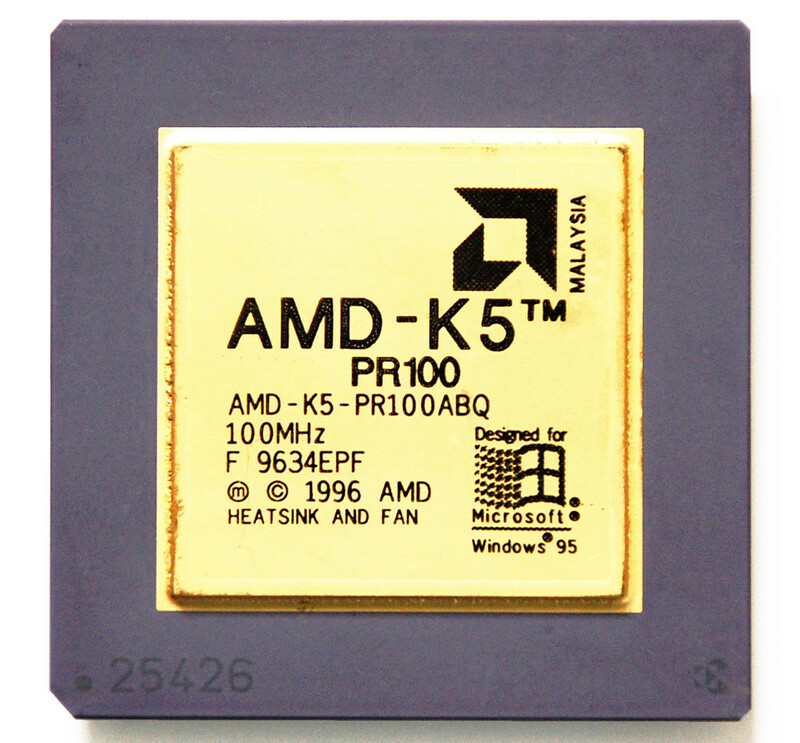 But because it was late to market and did not meet performance expectations, the K5 never gained the acceptance among large computer manufacturers that the Am486 and AMD K6 enjoyed. 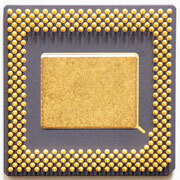 Switch to the die picture page! 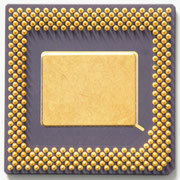 The first "unfinished" K5 was codenamed SSA/5 which had bugs in branch-prediction and in the level 1 cache. 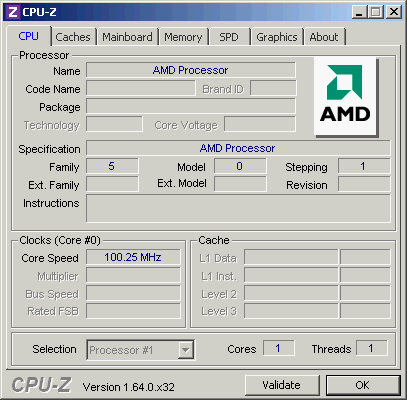 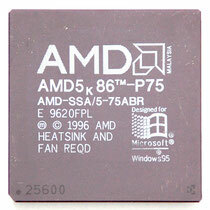 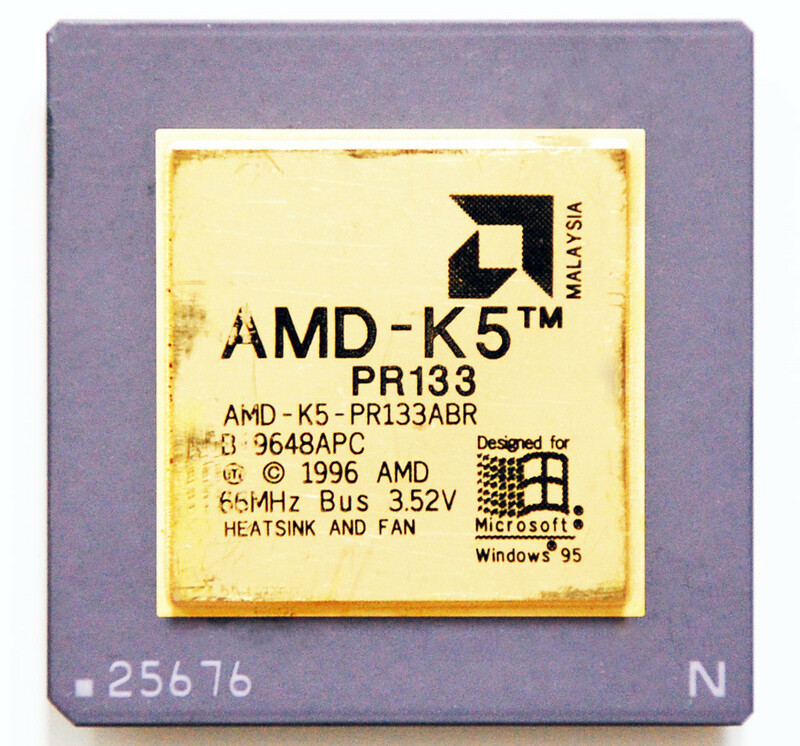 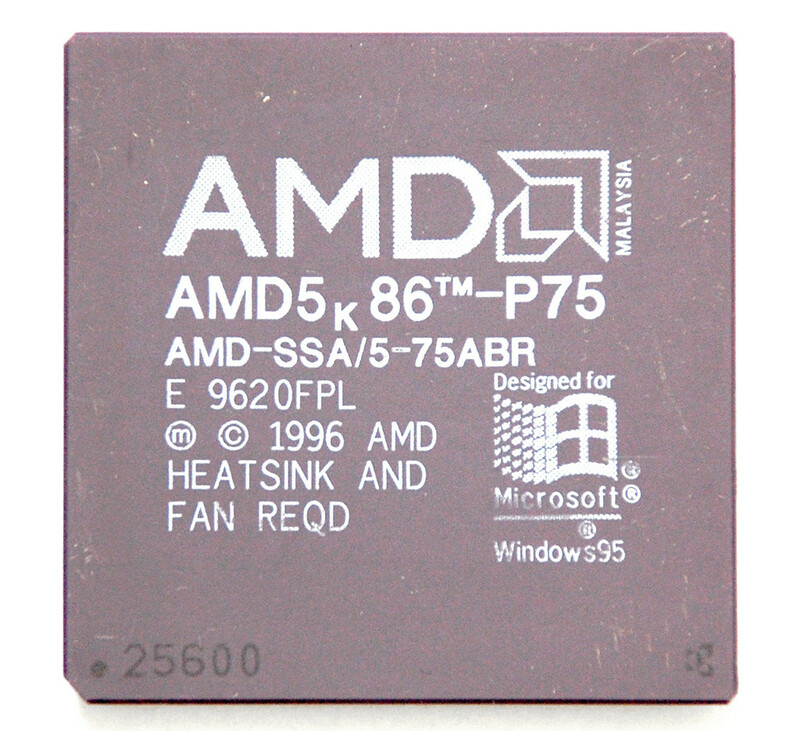 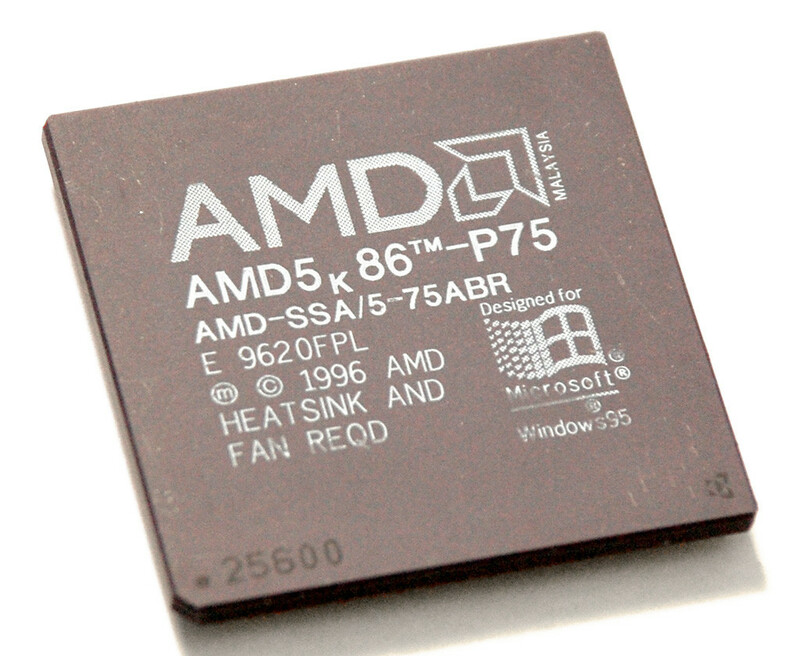 Earlier units were sold as AMD 5k86. 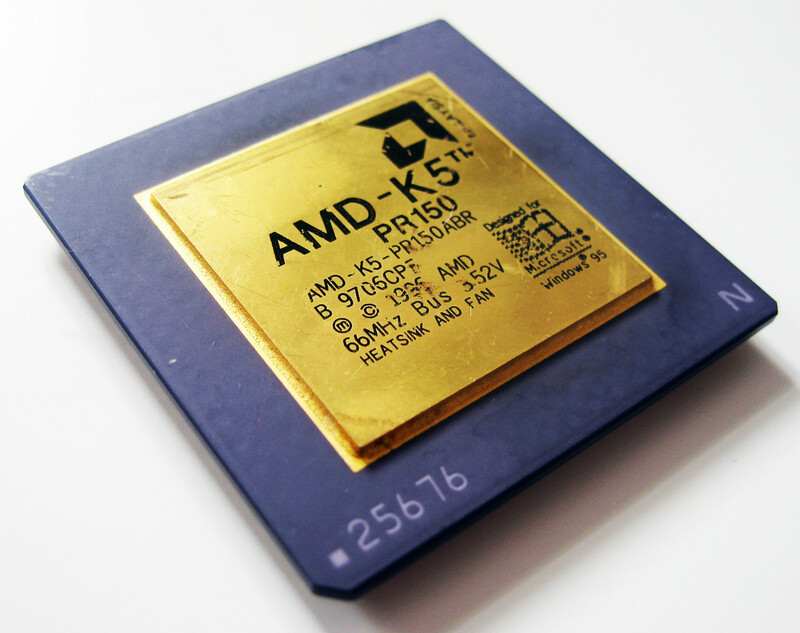 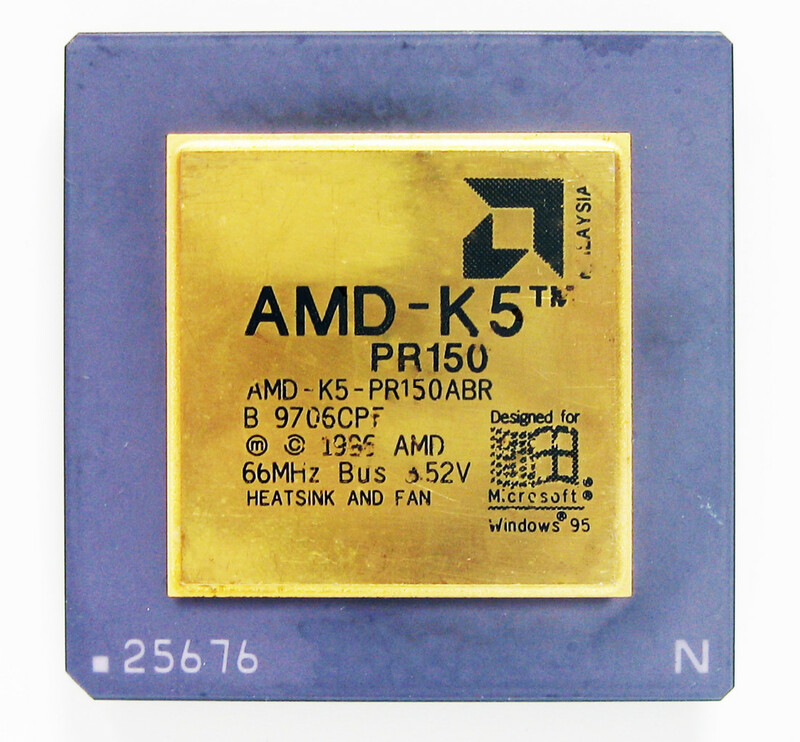 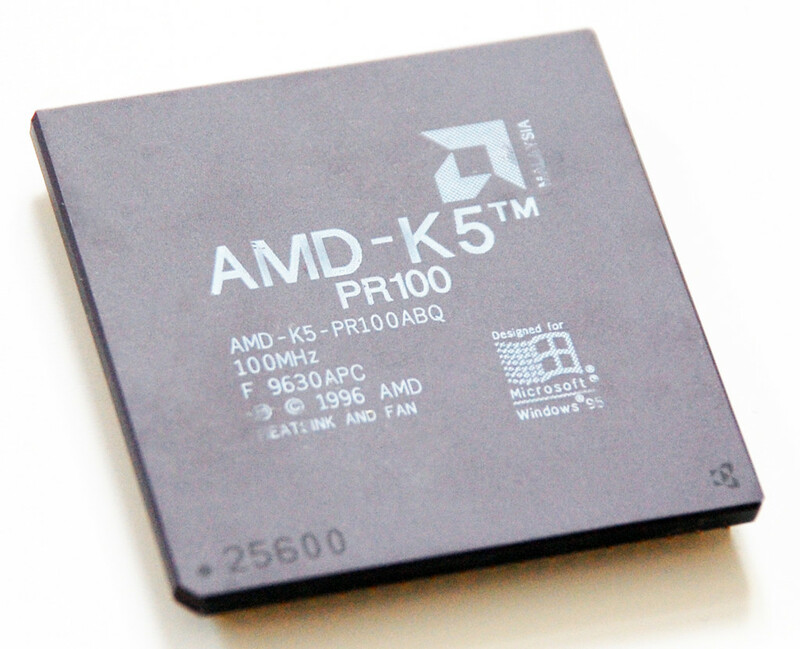 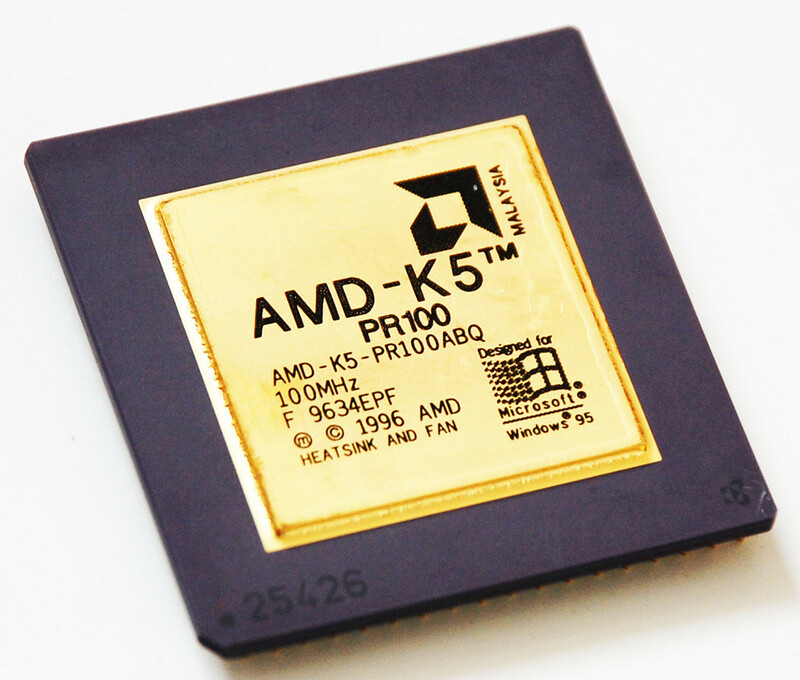 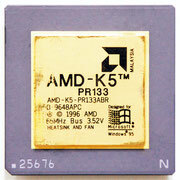 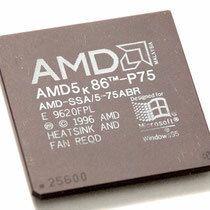 The bug-free version of SSA/5, codenamed 5k86 was only sold as AMD K5.